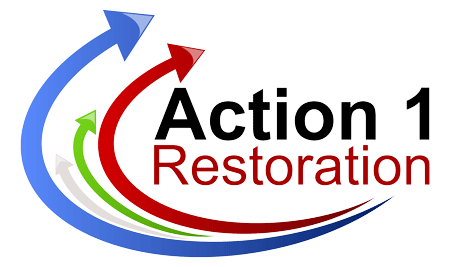 Why Choose Action 1 Restoration as your preffered provider of water and fire damage services? One of the most difficult things to assess after a flood is whether the water affected the structure of the building or it's only the paint that needs to be redone? A water damage professional is able to evaluate the extent of the damage and to tell you what you should do next in order to make your house habitable again. Do not attempt to clean up a flood on your own. There is more to water damage repair and restoration than just mopping up the water or soaking it up with some towels. To properly clean up after a flood and ensure that no further damage results, you need to enlist the aid of professionals who possess the proper expertise and equipment. Otherwise, your home can easily be seriously damaged, requiring very expensive repairs. The company you hire needs to be able to assist you right away. If they're backed up with a lot of work and cannot come out to see you soon, then it may be best to hire someone else. Even if they cost you more money to work with, you can be sure you'll save when you realize that if water damage sits there it can get worse. There are companies that have emergency services but it could cost you more which isn't that big of an issue considering they can meet you any time of the day.